Davidson was concerned about her cold-blooded little pal making it through the winter warm and snug. As with all mothers, sweaters just seem a natural go-to answer. So she got out the yarn and knitting needles and went to work. 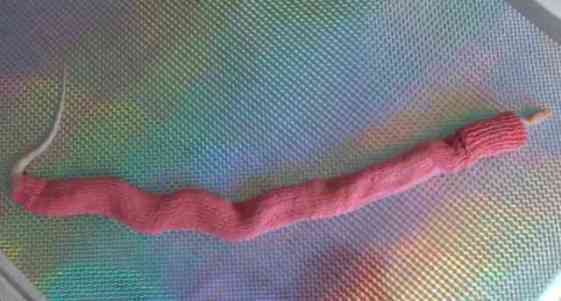 The tail end is ribbed to make it a little snugger and the other end is ribbed and turned back like a turtle neck. Joe seems to like his warm little pink tunnel and the fact that it is pink doesn't seem to impugn his masculinity in the slightest. 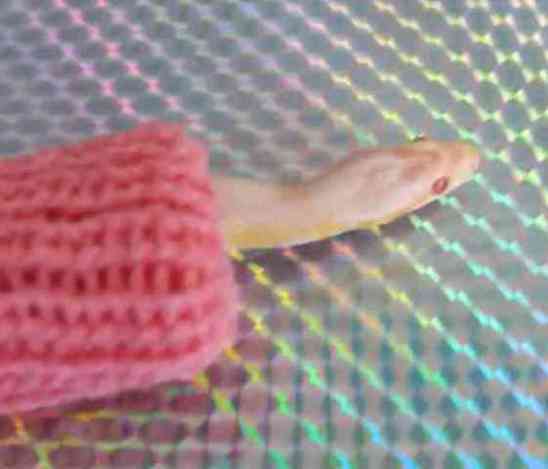 If you want a sweater for your reptilian friend, you will have to do as Davidson and make it yourself. There do not seem to be any ready-made sweaters on the market.